Discover how fine fragrances are created – from Seed to Bottle. Learn about scents and the olfactive families, sample some of the most iconic fine fragrances and discover the secrets of their success. Find out about distillation and how high quality essential oils for perfume are achieved. Enjoy a tour of our gardens with behind the scenes glimpses of the distillery. You will get an insight into how we create oils for perfume and discover some of the unusual plants we grow and distil for our fragrances. Interested in hosting a private workshop booking for your friends and family? Looking for an enriching activity or team building day? Contact us to enquire about our group workshop packages. 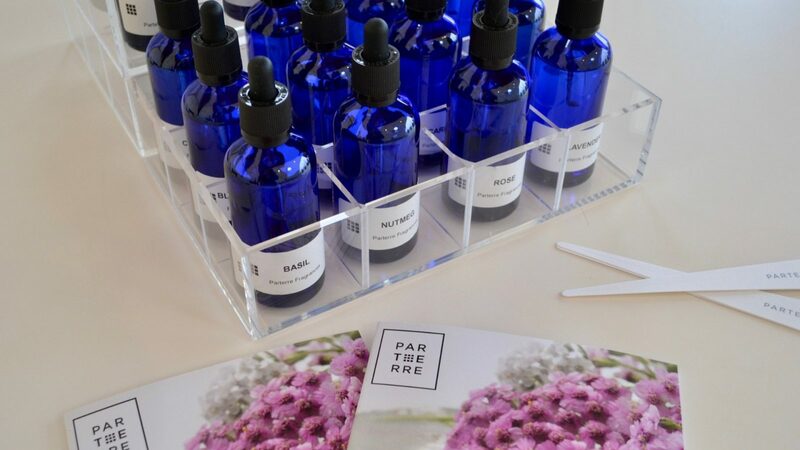 Parterre Fragrances are available for sale in our gift shop alongside a wider range of carefully curated, beautifully designed gift products and books which make perfect gifts for perfume lovers and the botanically inclined. Plants, many of them scented, are also available most of the year. Find out about the history of fragrance, the scent “families”, how fine fragrances are constructed, and some of the most iconic perfumes from past centuries. The exhibition is free, informative, interactive and fun.